Sadly we couldn't take photos inside but there was an absolutely beautiful map of the District Line from 1898. It had hard covers & was printed on that hard wearing old map paper (the name of which completely escapes me) - that the very old Ordnance Survey maps were printed on. I was pretty scared to unfold it. 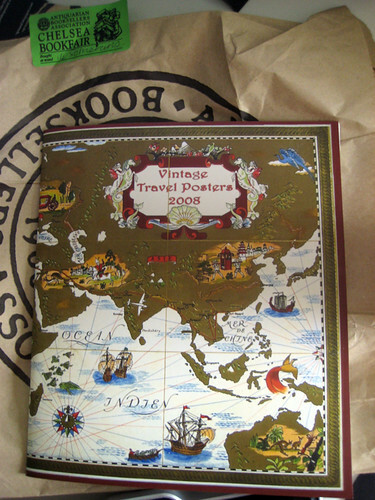 It was being sold for £175 which you might think quite expensive for a London Underground map. However, just round the corner I saw a signed first edition of District and Circle a collection of poems by Seamus Heaney which was first published in 2006. The title poem is about a journey on the District and Circle Lines. This was valued at £300. I think this is a huge amount of money in comparison. Clearly I would be rubbish at valuation. 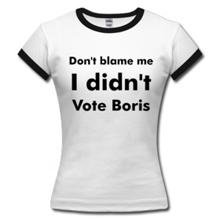 Do you think you'd be any better? 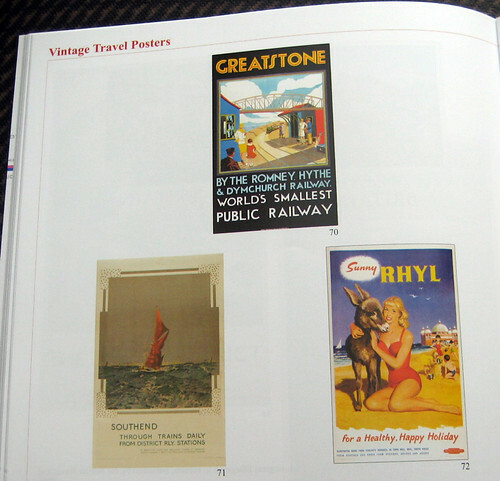 I took some pictures of some old British railway posters from the Vintage Travel Posters catalogue pictured above. 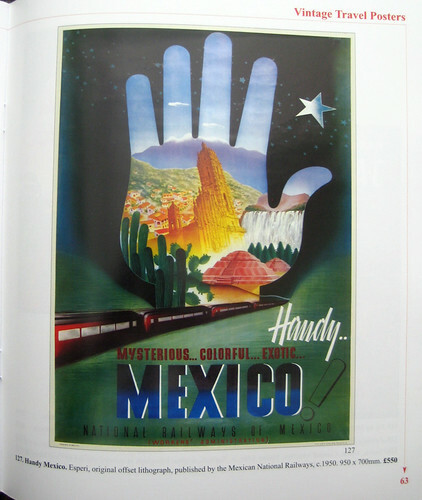 As a guide, the lovely poster for National Railways of Mexico below is from 1950 and is £550. 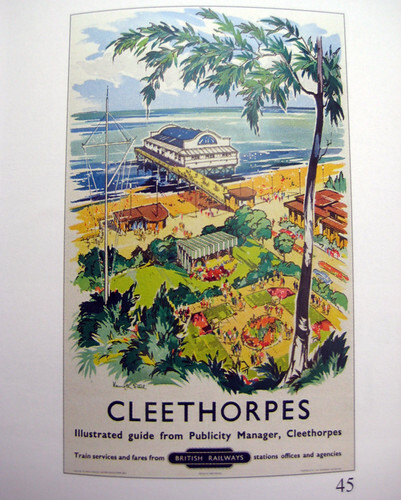 The posters below are from 1922 to 1960 and promote the delights of travelling by rail to Southend; Greatstone by the world's smallest public railway (which I visited a few years ago); an exotic looking Cleethorpes; Portcawl (which has everything including mermaids) and Sunny Rhyl, where donkey hugging means a healthy happy holiday. 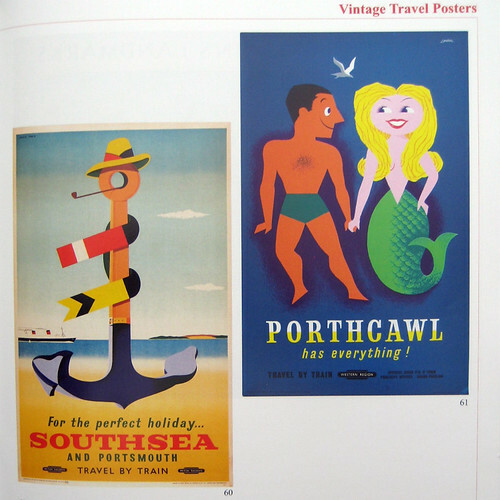 See if you can guess the price of some the posters. No prizes, but just the satisfaction of knowing whether you'd be able to give the Antiques Roadshow guys a run for their money.